Use the below links to get started. This application page pertains to U.S. domestic applicants only. If you are an international student, please access the international student application information. For new freshmen and transfers, create an account and complete an online application. 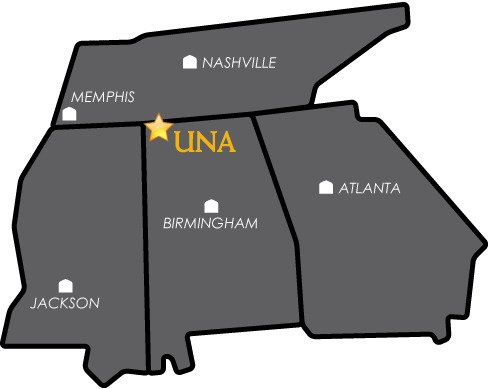 To apply for graduate studies at the University of North Alabama, complete an online application. For transient, former, and special students, please download and complete the application. Transient Students---letter of good standing from the college currently attending.